Fine background and excellent subject detail, and a wonderful subject. Great image. very interesting and colorful subject. Nice composition and background. Nice detail and background. 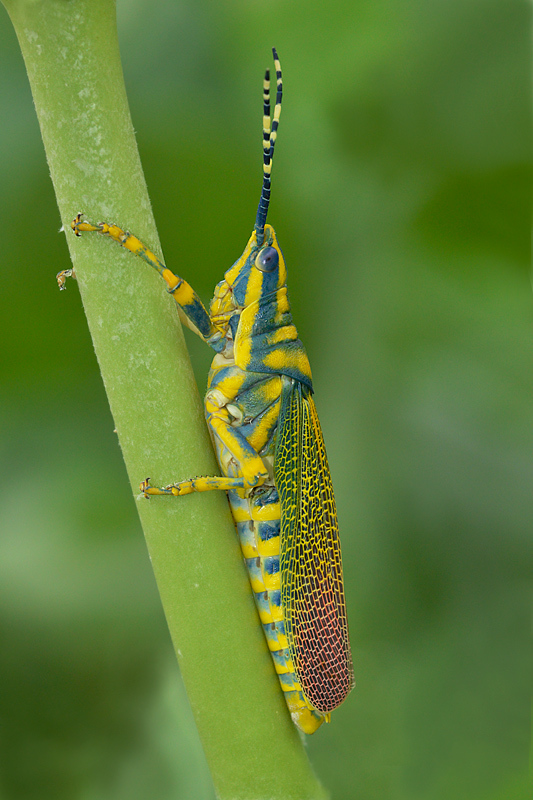 Very beautiful colors in the grass hopper, especially in the wings. Well done. Beautiful! So colorful, and perfectly captured. One of the great things about NSN is getting to see so many amazing species I've never even heard of. Thank you! Wonderful image, Sudipta! Superb detail and amazing colours. Looks great! Focus looks spot on. Composition is perfect.